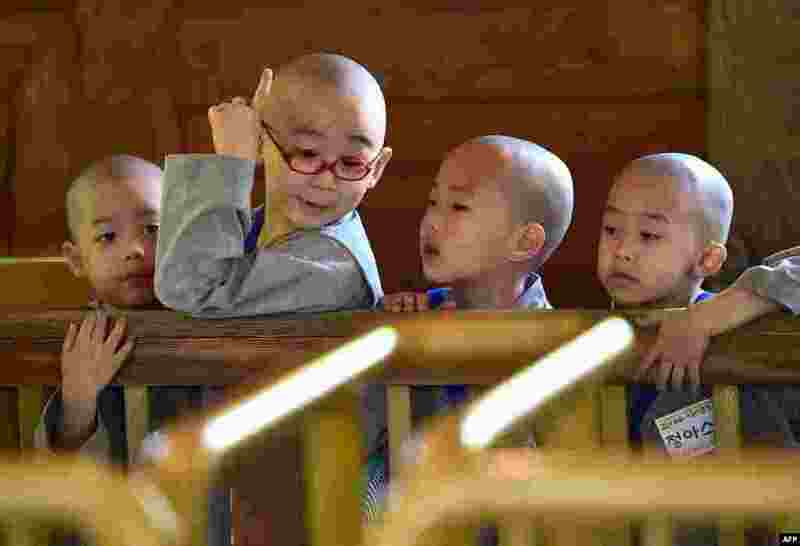 1 Young novice Buddhist monks wait to ride a roller coaster as they visit the Everland amusement park during their training program entitled 'Children Becoming Buddhist Monks' in Yongin, south of Seoul, South Korea. 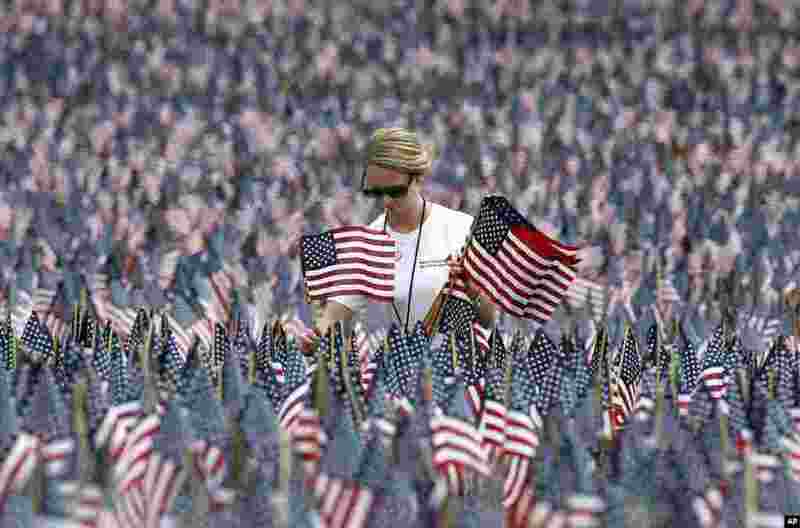 2 Shannon Day of Boston, a volunteer with Massachusetts Military Heroes Fund, replaces flags in the fund's flag garden on Boston Common in Boston, ahead of Memorial Day. Each of the approximately 37,000 flags represents a Massachusetts military member who died in service from the Revolutionary War to the present. 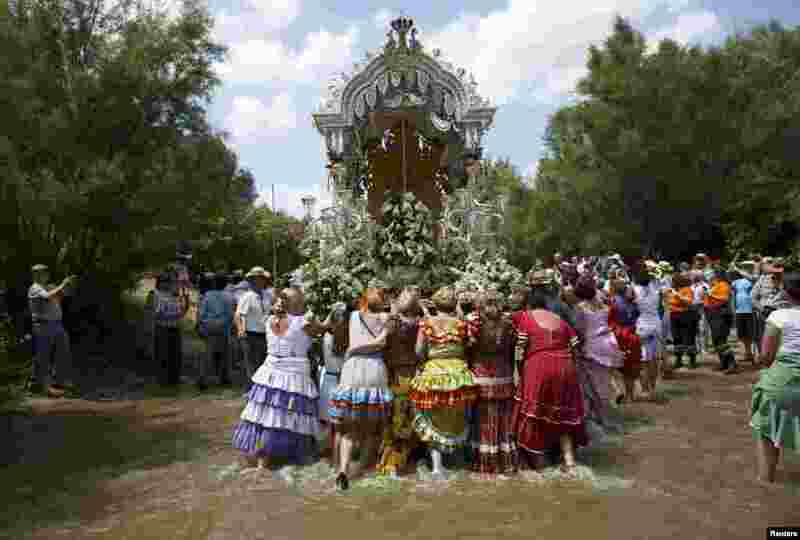 3 Pilgrims push a carriage as they cross the Quema River on their way to the shrine of El Rocio in Aznalcazar, southern Spain. 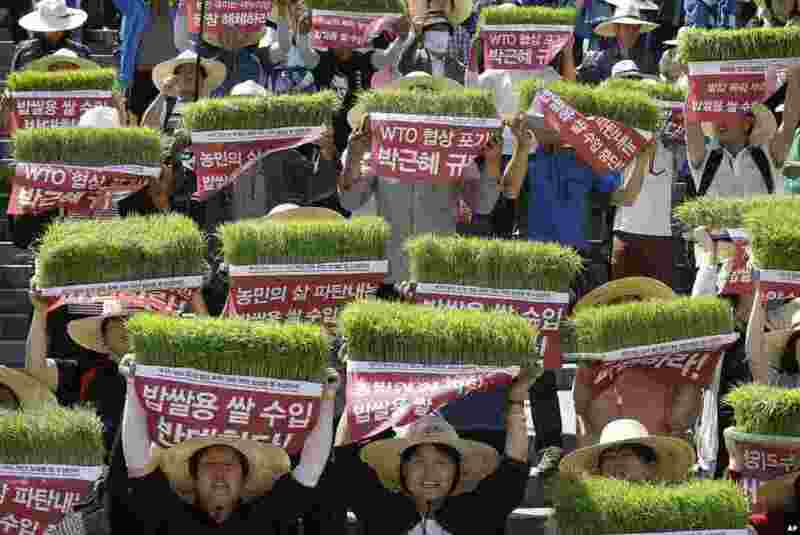 4 Farmers hold seedbeds of rice over their heads as they shout slogans during a rally to protest the government's planned rice imports for meals that they fear will lead to a fall in the price of the locally produced rice in Seoul, South Korea.